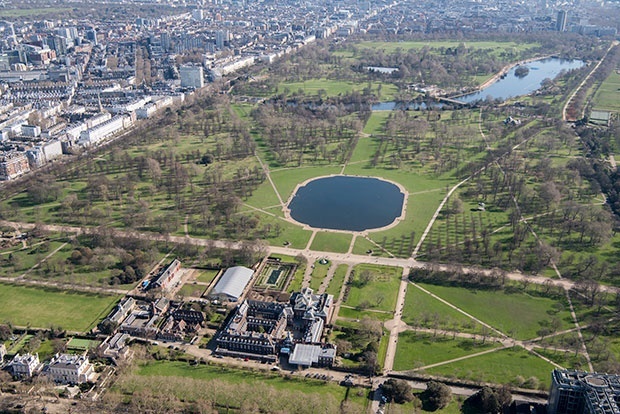 Cape Town – Kensington Palace is taking extra measures to protect the royals from prying cameras when leaving the grounds. According to Daily Mail, officials have planted a 950-ft-long (290 metre-long) hedge that is expected to grow over 2 metres tall in no time in order to prevent paparazzi from taking photos of the royal family - who travel via royal helicopter almost daily - leaving and arriving Perks Field in the palace grounds. A palace spokesperson reportedly told the outlet: "As part of the broader management of the Estate, the physical surroundings of Royal Residences are under constant review. From time to time, adjustments are made to the landscaping and gardens, including hedging." According to Vanity Fair, the laurel hedge – which was recently planted and is only standing at 1 metre tall at the moment – is made up of 600 trees that are planted 45 cm apart. The trees reportedly cost roughly R274 000 to be delivered. The paparazzi proofing comes amidst Scarlett Johansson's recent comments that laws need to be more strict when it comes to 'stalking' public figures following the death of Princess Diana in a car accident that was pursued by photographers. "The paparazzi consistently go to increasingly dangerous lengths to stalk and harass the people they are photographing. Even after Princess Diana's tragic death, the laws were never changed to protect targets from the lawless paparazzi," the actress said in a statement after claiming to have been followed by paparazzi "in a dangerous fashion". Cape Town - Scarlett Johansson is calling for action to be taken against paparazzi after a scary incident with photographers. According to E! News , the actress got police involved after claiming she was followed by paparazzi "in a dangerous fashion" following an appearance on Jimmy Kimmel Live!